Keeping your family member aware of the energy consumption with the electronic gadgets you have at home is a good way of saving energy usage. 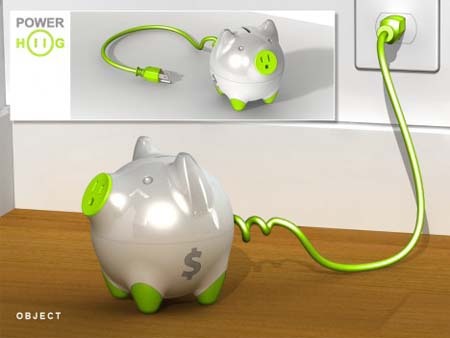 The Power-Hog, one of the entries for Greener Gadgets 2009, is a power consumption-metering device in the form of a piggy bank. 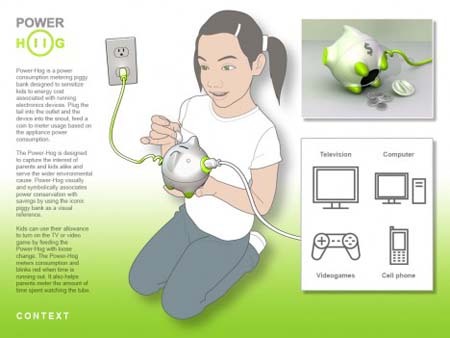 User will plug the tail to the outlet and the device to the piggy’s snout. 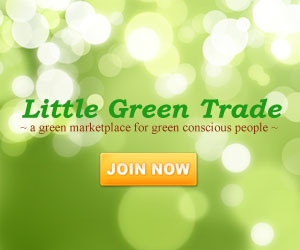 To use the electronic device, one will feed a coin to meter 30 minutes of usage. 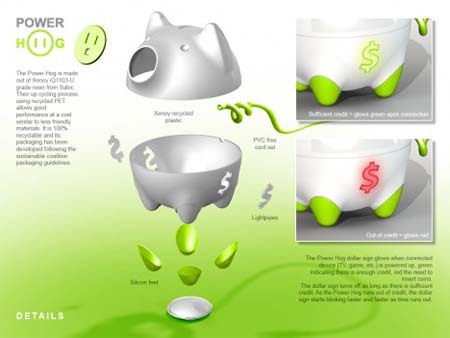 Aside from saving energy consumption, the Power-Hog has an up cycling process using recycled PET that allows good performance at a cost level to less friendly materials, which made this product a true green gadget. Where do I get a powerhog piggy bank. Is it available for purchase yet? The kids leave EVERY LIGHT and tvs on and dont care. Their mom does the same thing too. I wouldnt care but since im the poor sucker who pays the bill I DO… Send me some info if you can… Oscar D.
Could anybody tell me where this can be purchased? My kids are on the tv and computer every day, and they don’t understand how much we are paying to satisfy their entertainment “needs”. 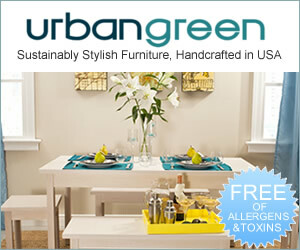 Please mail me with information on how to purchase it! I love this invention… I'm from Bolivia and I would like to buy it, could anybody tell me where?